Now he wants us to spend some time visiting. 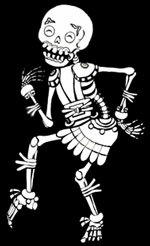 Take a walk to the Mictlan, the Land of the death. Look at Death’s terrifying photo album. Find out how some brave children play with Death! Read some spooky stories.